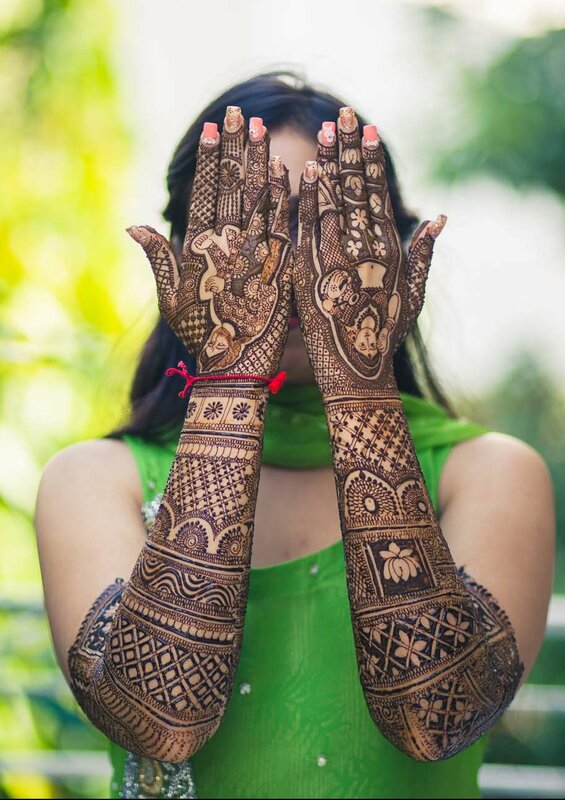 35+ Modern Bridal Mehndi Design Ideas for Your 2018 Wedding! 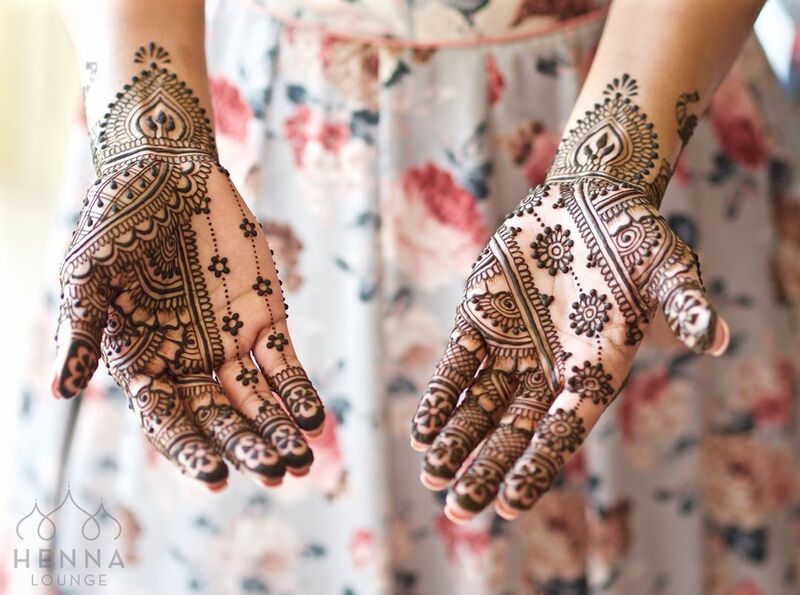 » » The Urban Guide » Weddings » Wedding Mehndi » 11 Latest Bridal Mehndi Designs You’ll Want To Look At For Your 2018 Wedding! 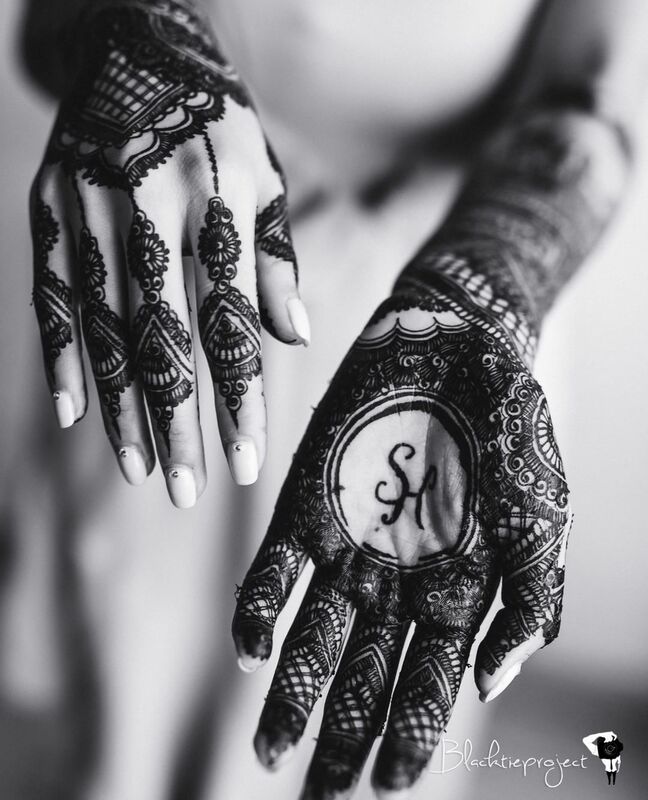 If you’re getting married, you miggauht have spotted a few interesting mehendi designs while doing your wedding planning research. 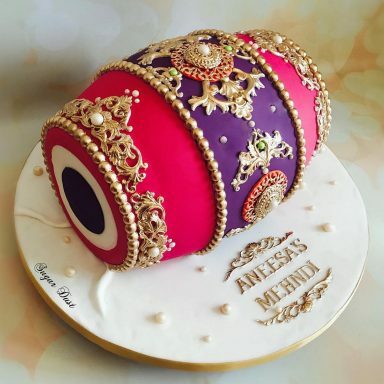 There are so many new designs out ideas out there – brides are adding all kinds of elements such as wedding vows, hashtags and their love stories to their Mehendi! 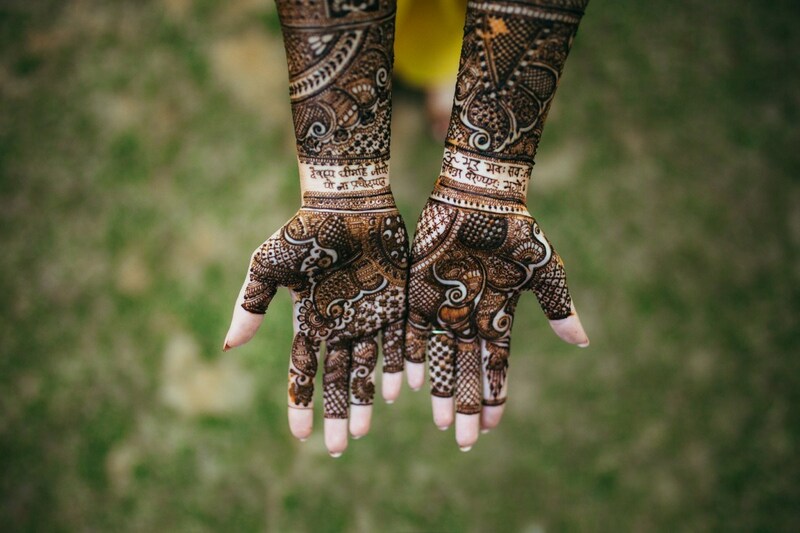 We decided to curate the best modern bridal mehendi designs for you, so that 2018 brides have a lookbook of experimental to minimal and even Arabic designs they can pick from. Basically the hottest Indian wedding trend, minimalism is not only for brides who are picking simple lehengas and doing natural makeup (like Anushka Sharma at her wedding!) 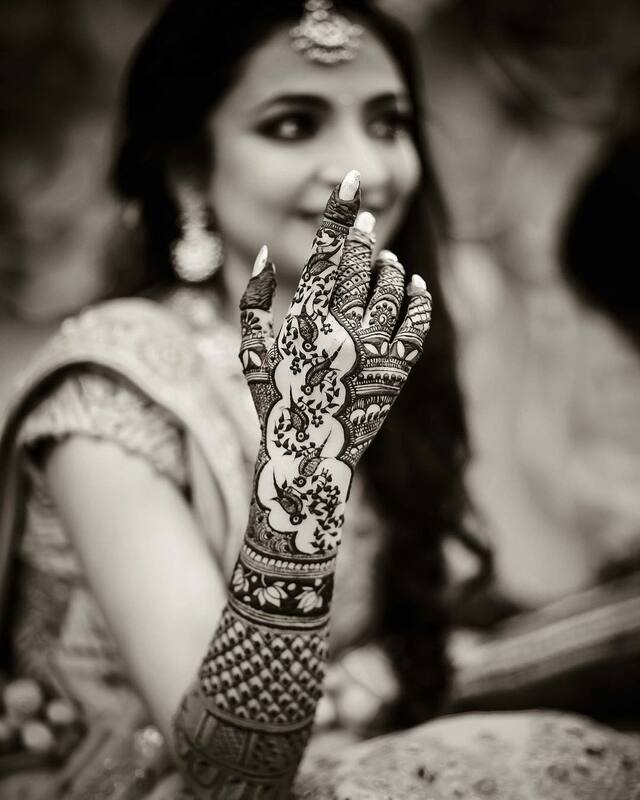 There are hundreds (if not thousands) of brides choosing minimal Mehendi designs now. 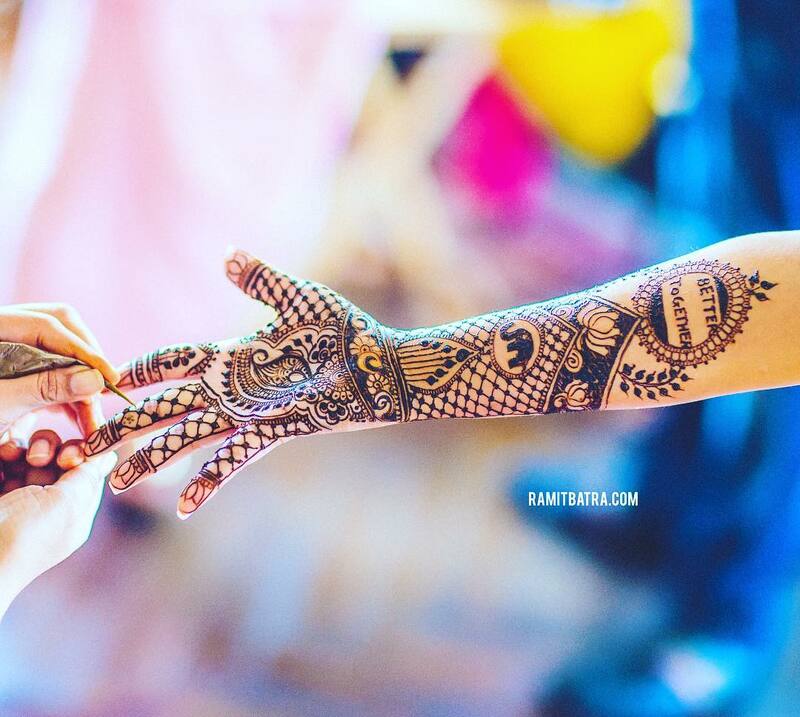 For a detailed loobook for this style, see this list of best minimal bridal mehendi designs. 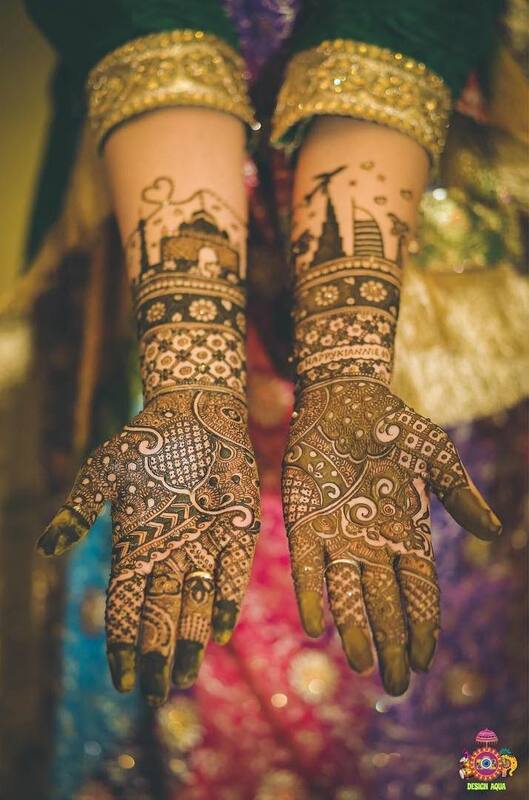 A type of minimal pattern, buttis are an easy way to make your mehendi look khulla-khulla, without going fully Arabic with your design. 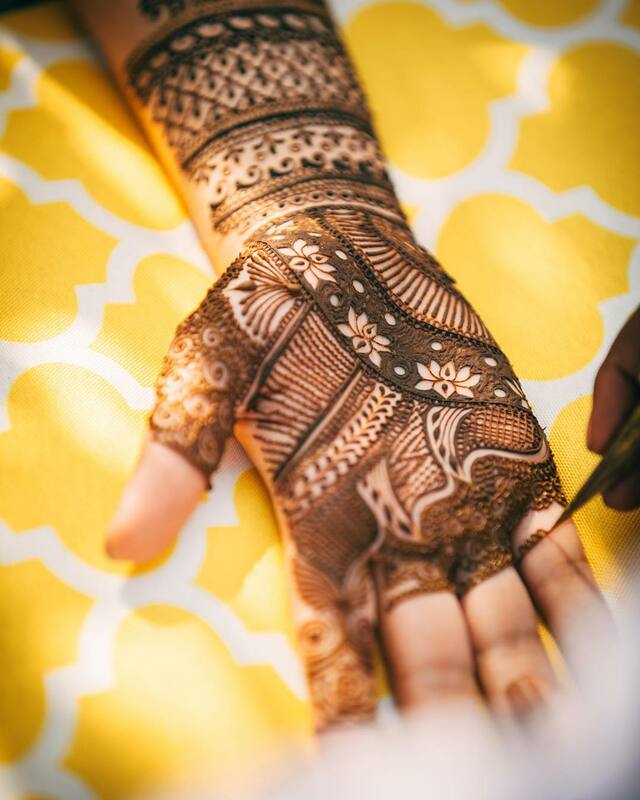 A lot of people wonder “what is Arabic Mehendi and how is it different from traditional Mehendi?” Arabic mehndi designs usually include leaves and flowers as motifs, and are more khulla-khulla, since they leave more skin showing between the pattern. 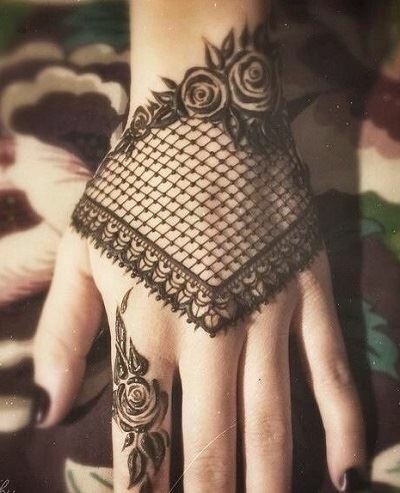 So if you love Arabic designs, you’re in luck. 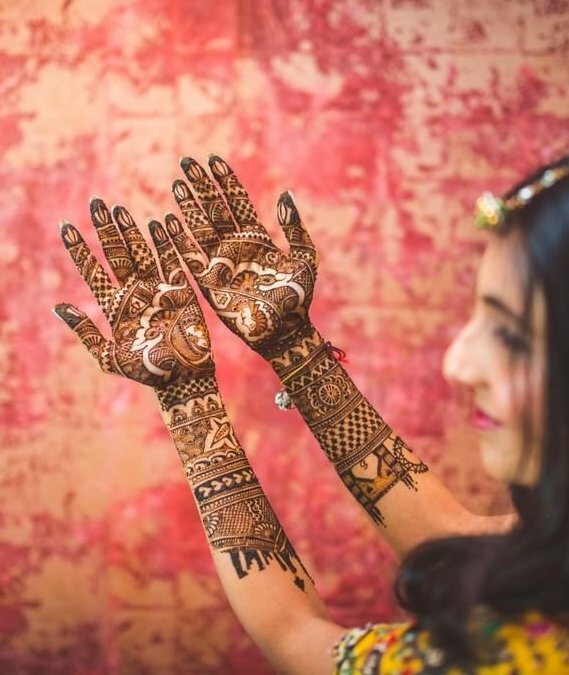 Tons of brides are now choosing to go for Arabic mehendi because they like how it looks more than the intricate traditional Indian bridal henna designs. 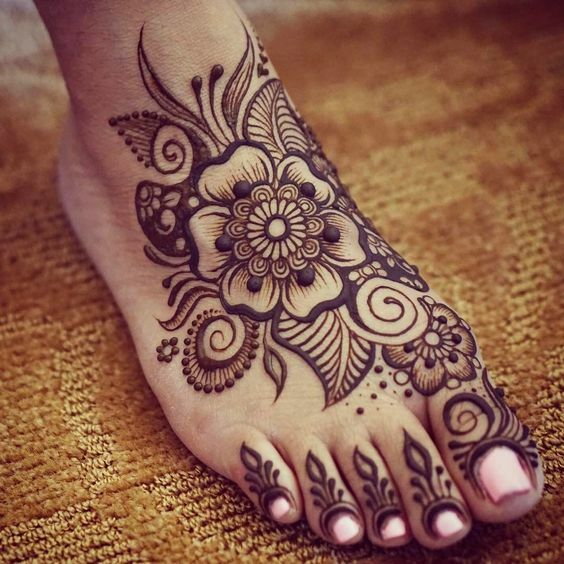 Beautiful Arabic mehndi design for the bride’s feet! 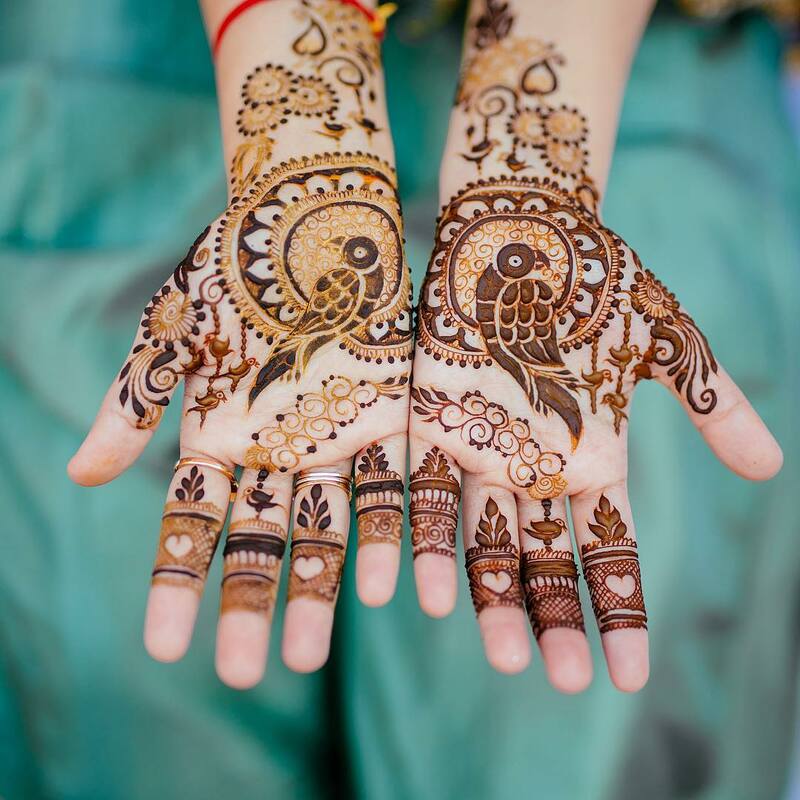 While Arabic mehendi may have made birds, flowers and leaves popular motifs for henna, parrots and Lotus seem to have come out on top as elements that most brides pick when they want the latest bridal mehndi design. Parrots really do look great when added in these interesting, beautiful ways! And there are just so many ways in which you can include the lotus flower! 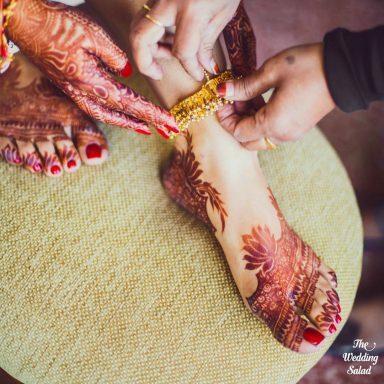 ALSO SEE: 20 Stunning Mehendi Designs for The Bride’s Feet! Wedding hashtags have become a popular trend these days. 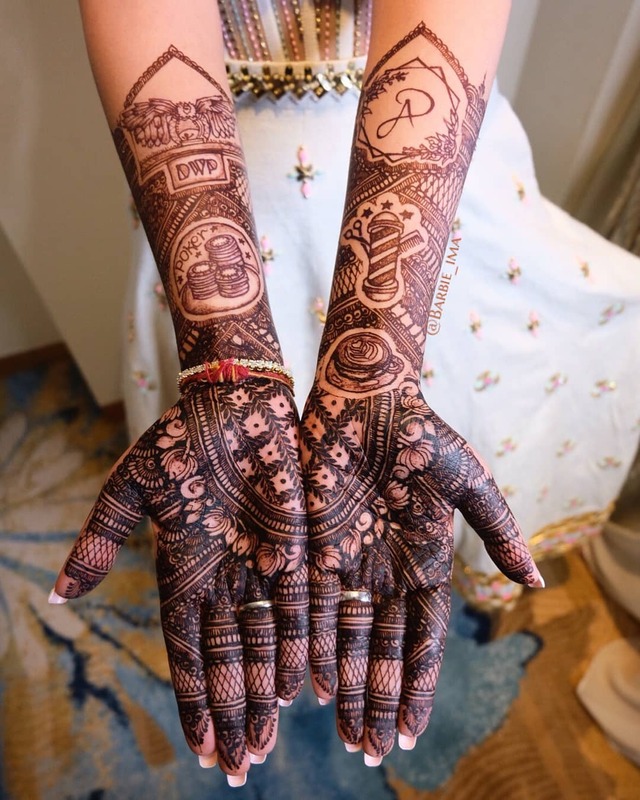 So be it for your Instagram updates related to the wedding event or your Mehendi design, hashtagging is definitely a cool way to make things more interesting! 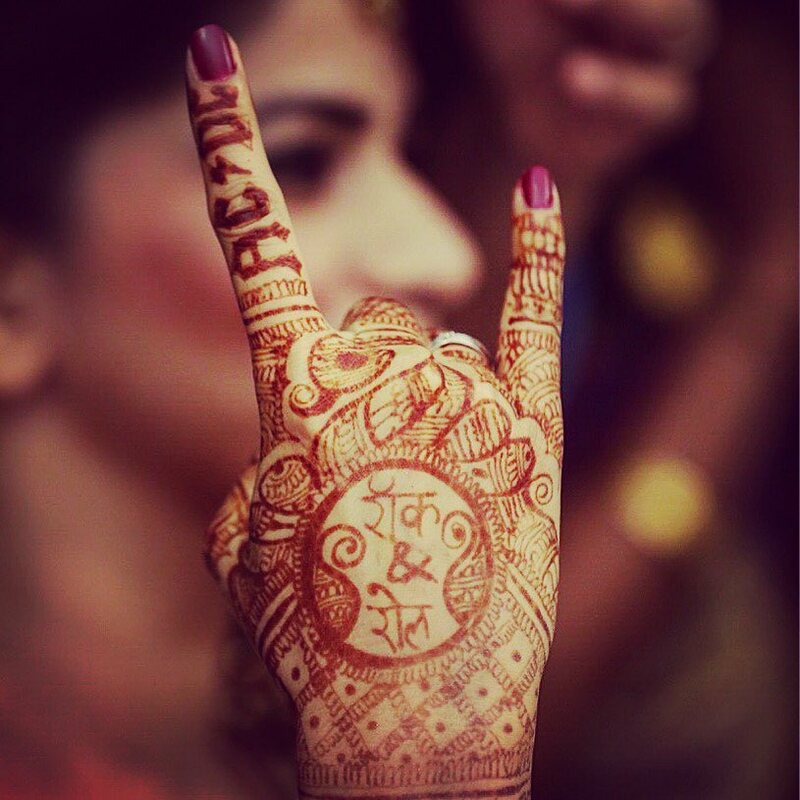 You can go simple and add just your initials in the mehendi. Incorporate the Monogram design you’ve created for your wedding invite! 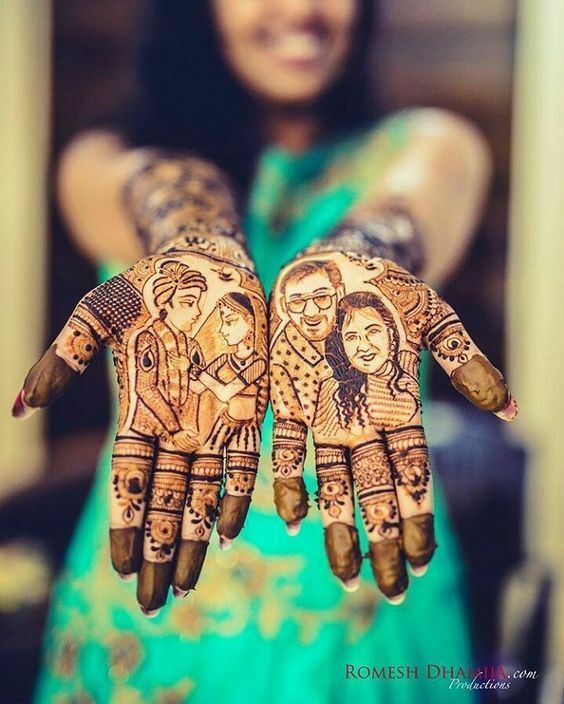 Couples are personalizing their weddings in tons of creative ways – from adding their love stories to their lehengas and invites, and now in their Mehendi! 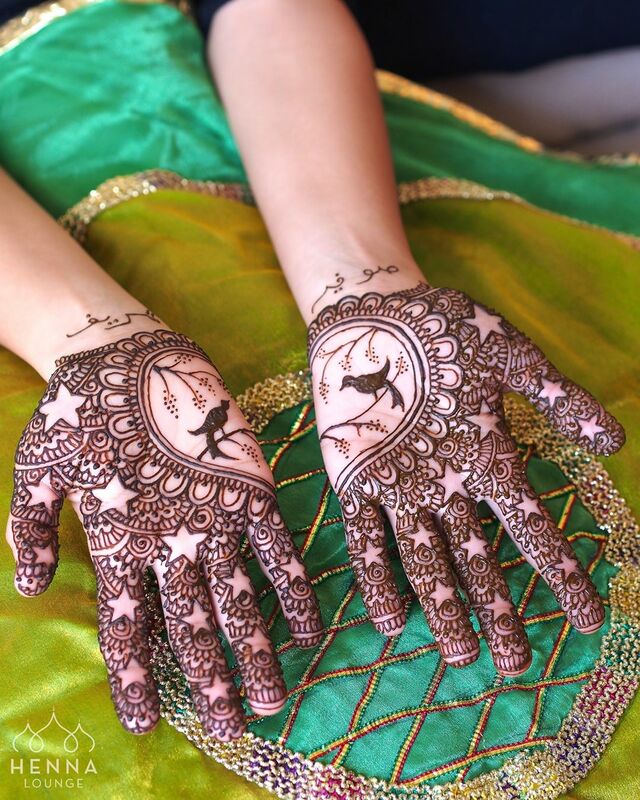 Or add your favourite song and artwork in the Mehendi design! 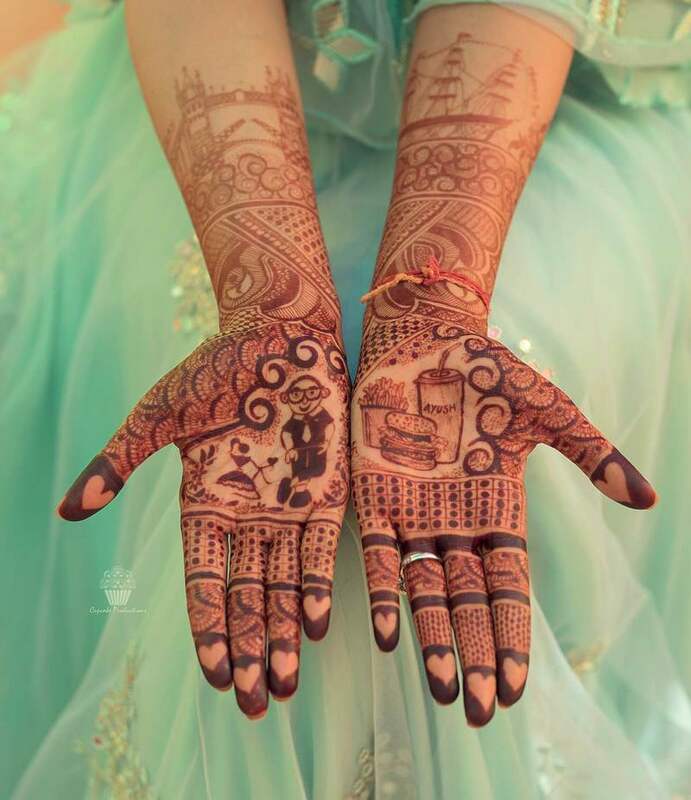 This bride wanted to depict “Dilli 6 to Dubai” through their landmark buildings and monuments on her arms. 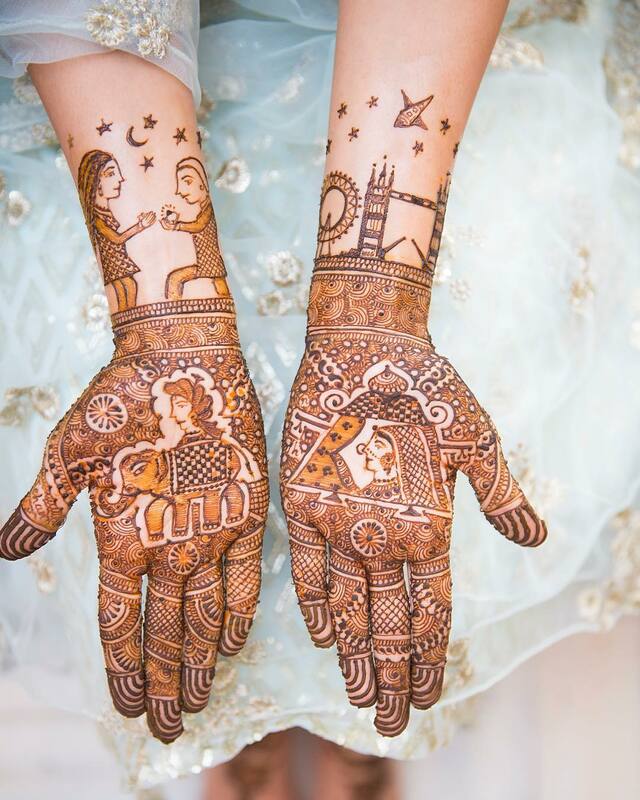 What makes this a modern bridal mehendi design is the love story and wedding hashtag she decided to add to a non-traditional design – it’s a full hand of Mehendi but it’s all Arabic. 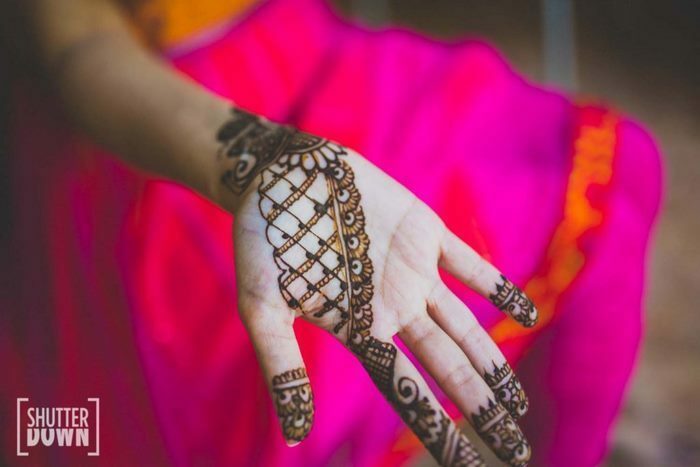 If you look at the latest mehndi designs for weddings these days, you’ll find plenty of brides incorporating things they love to their bridal henna. Or your favourite genre of music and iconic bands! 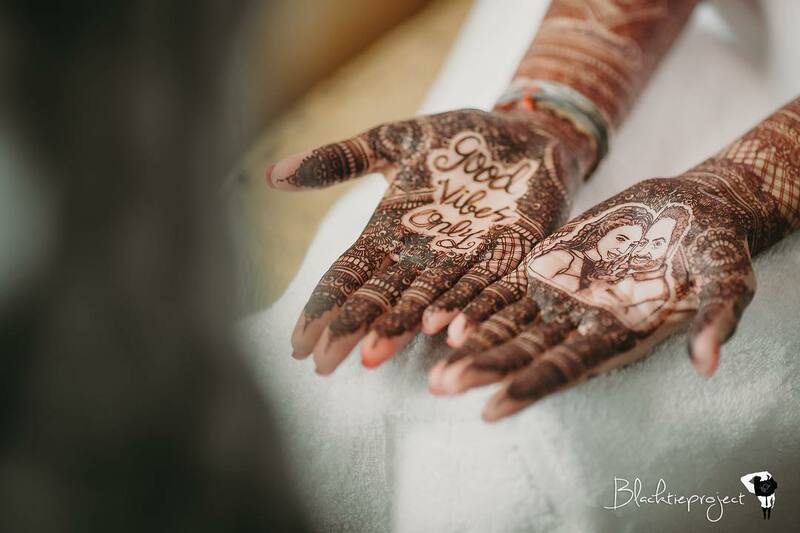 This bride added multiple things she loved to make hers a truly modern bridal henna design – like a cup of coffee & poker! 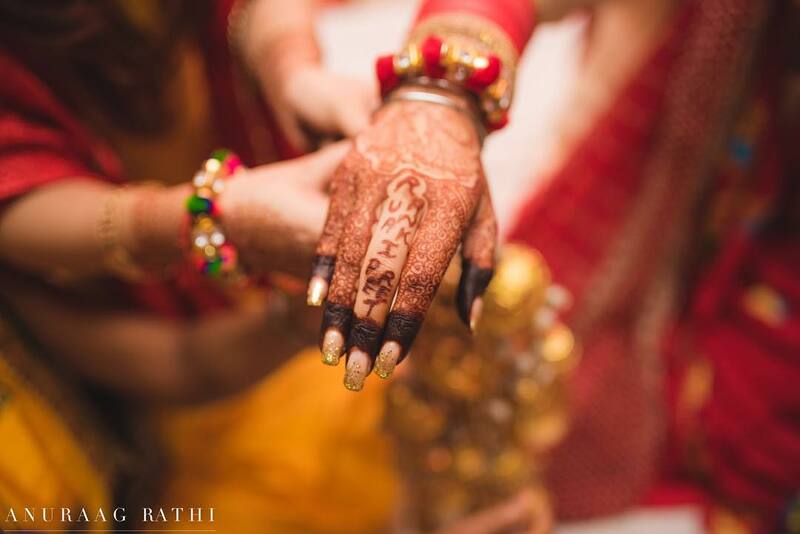 Don’t miss how she also added the couple’s initials on an arabic full hand mehendi design. 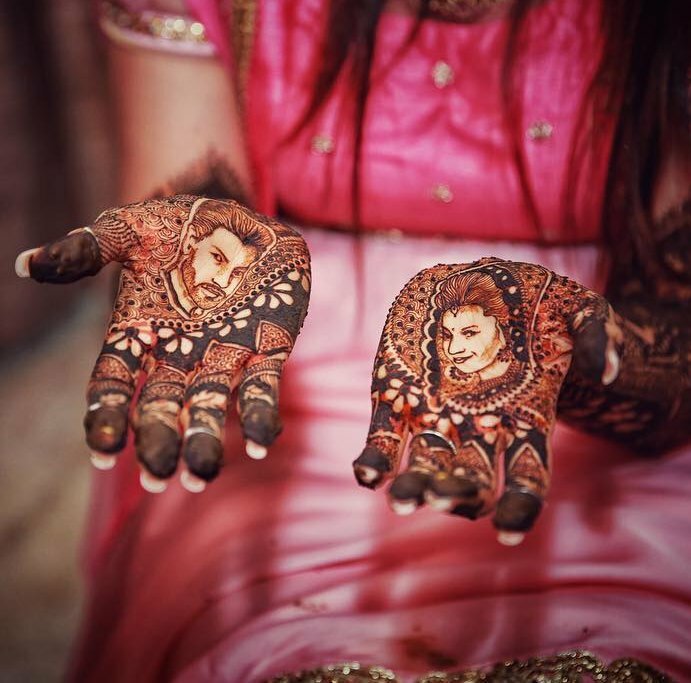 You don’t need to get the typical bride and groom portraits facing each other – on separate palms. 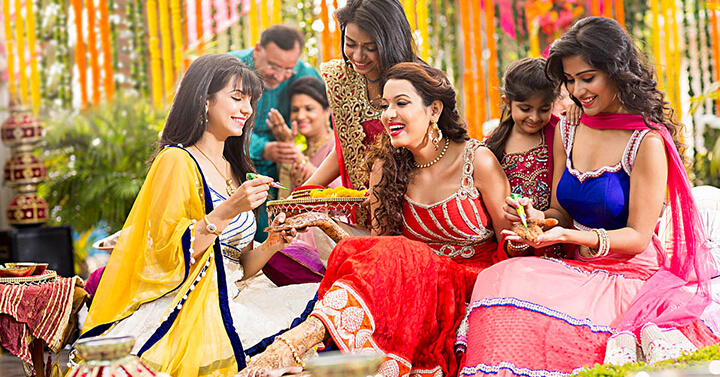 Instead, get a couple portrait made (maybe even asking the mehendiwala to incorporate your lehenga design!) similar to how you’d get a couple portrait clicked by the wedding photographer! 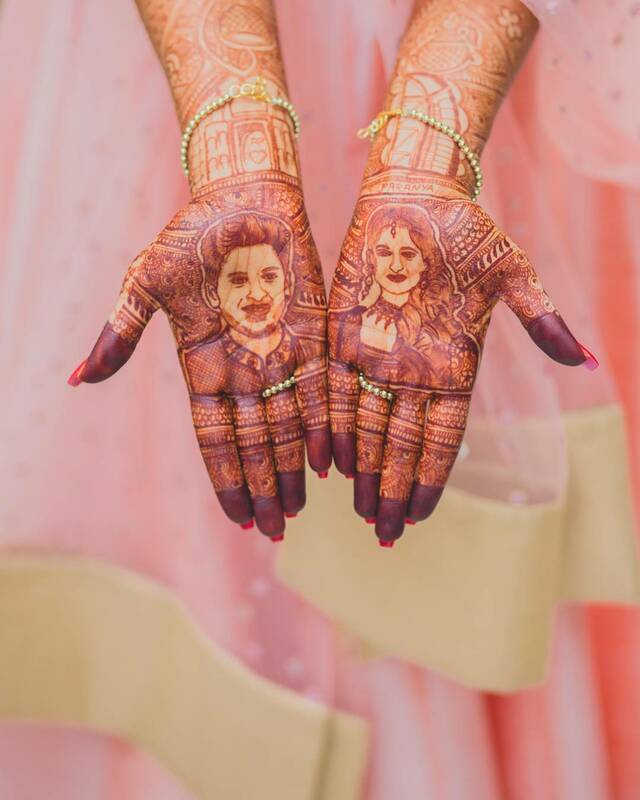 Bride & groom portraits on the back of her hands! 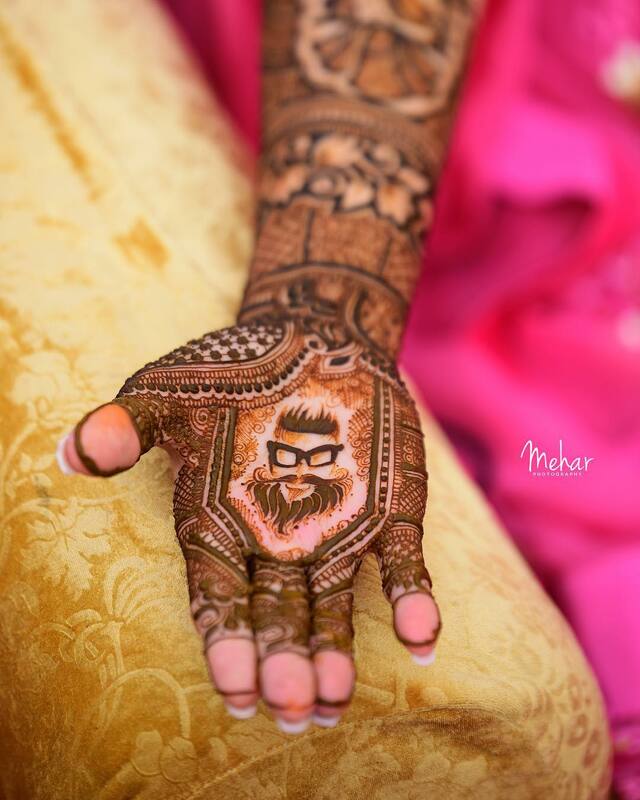 Or adding a caricature on one palm (to make it modern), while the other still depicts the traditional jaimala scene! 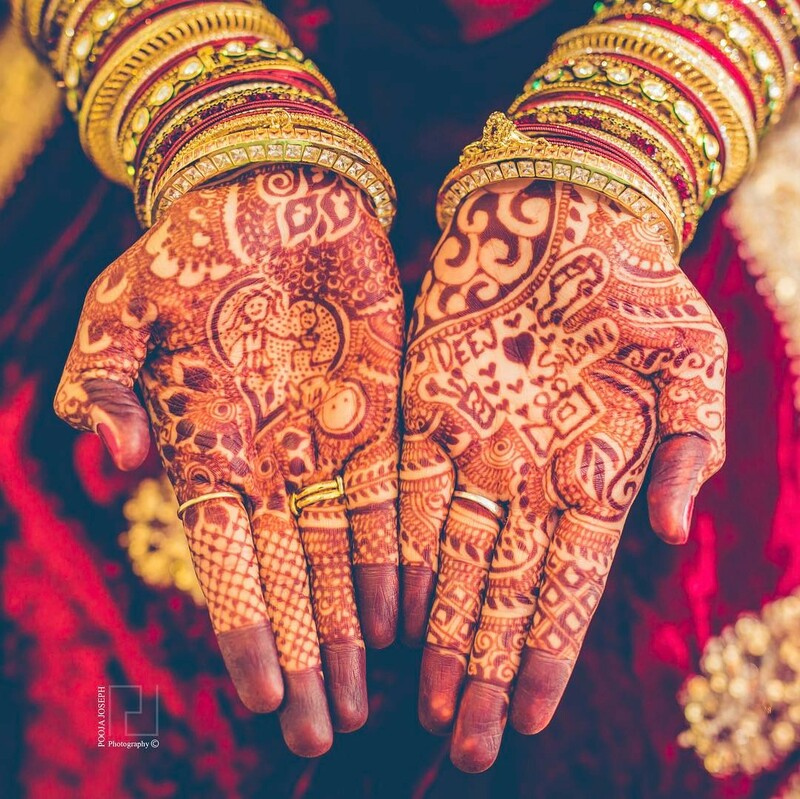 The jaali pattern is definitely popular again, but it’s the twist to the traditional jaali that makes your bridal mehendi design modern. 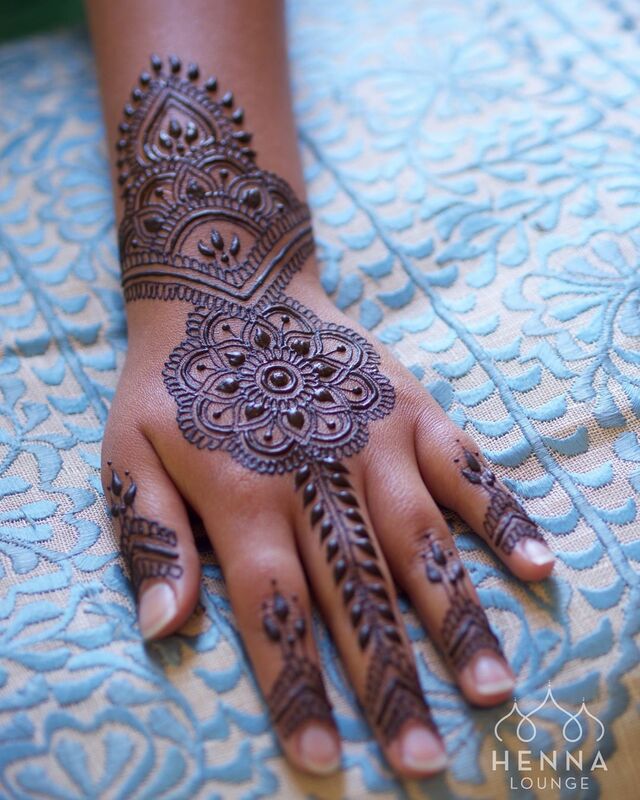 The jaali in an Arabic mehendi design – created with leaves! 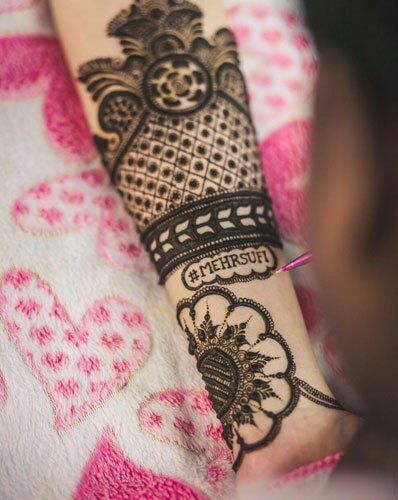 And finally, you can keep it as simple as just adding your wedding vows (either in Sanskirt or plain old English/Hindi) to your Mehendi design. 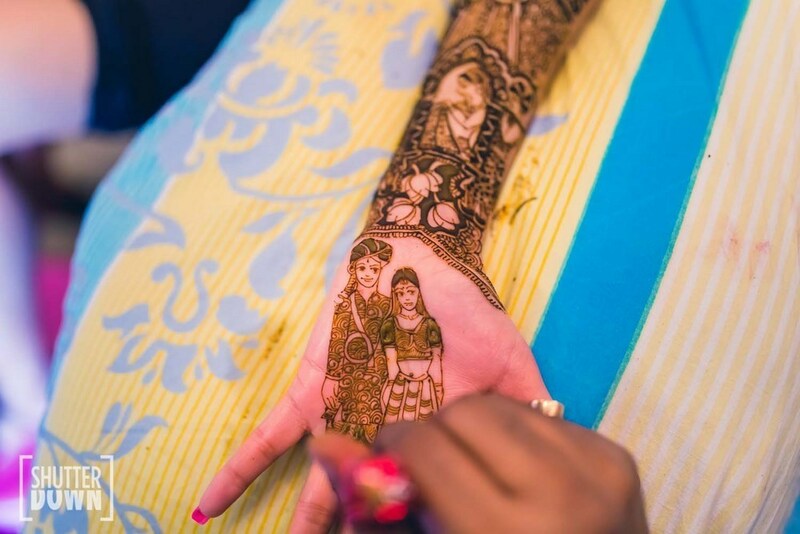 You can also choose to add a line like this bride did to create a completely new bridal Mehendi! 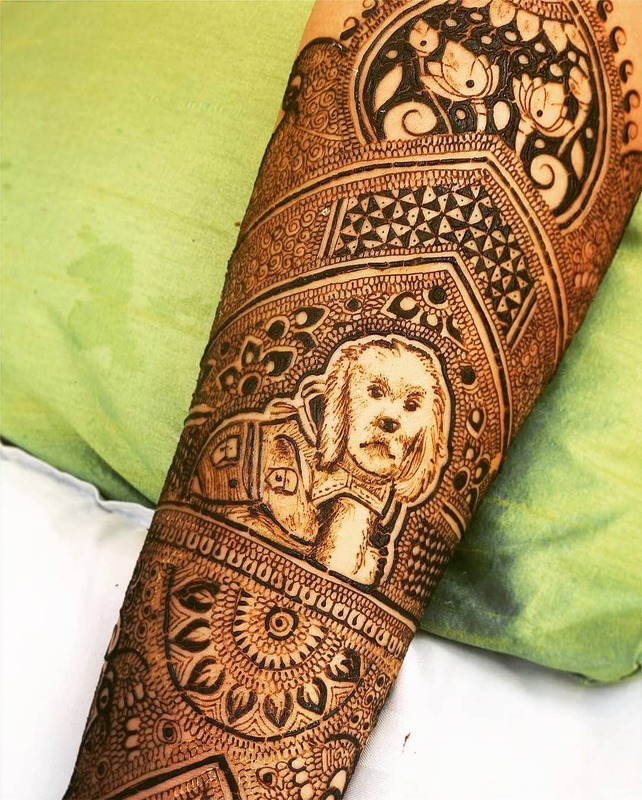 One of the top Mehendi artists in the world, Henna Lounge, shared this unique mehendi design online late last year. 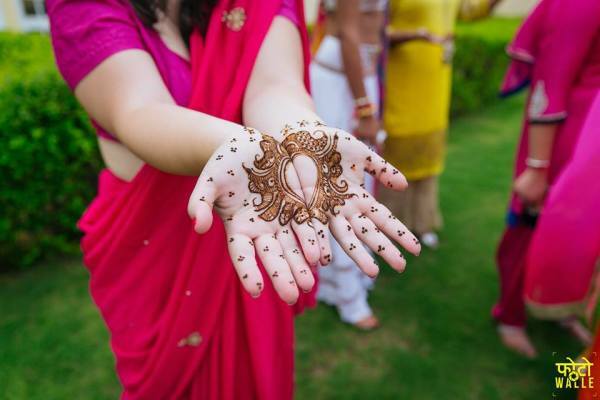 It’s a beautifully different design that a bride looking for something hatke can choose. 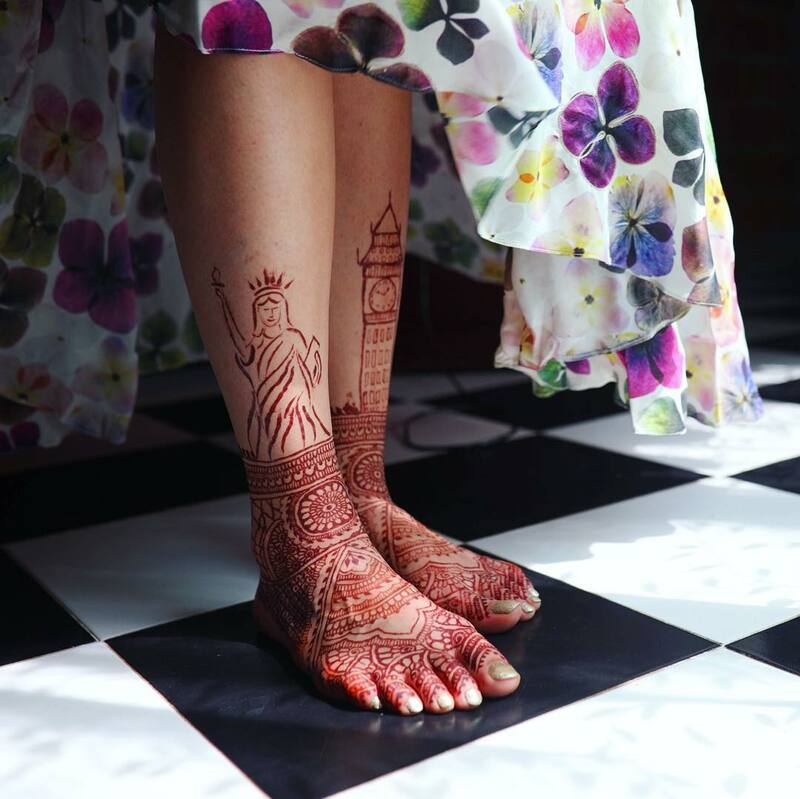 If you’ve loved exploring all the Mehendi trends here, you might also want to check out Minimal Bridal Mehendi Designs Ideas and 20 Stunning Feet Mehendi Designs that we’ve curated for the 2018 bride. 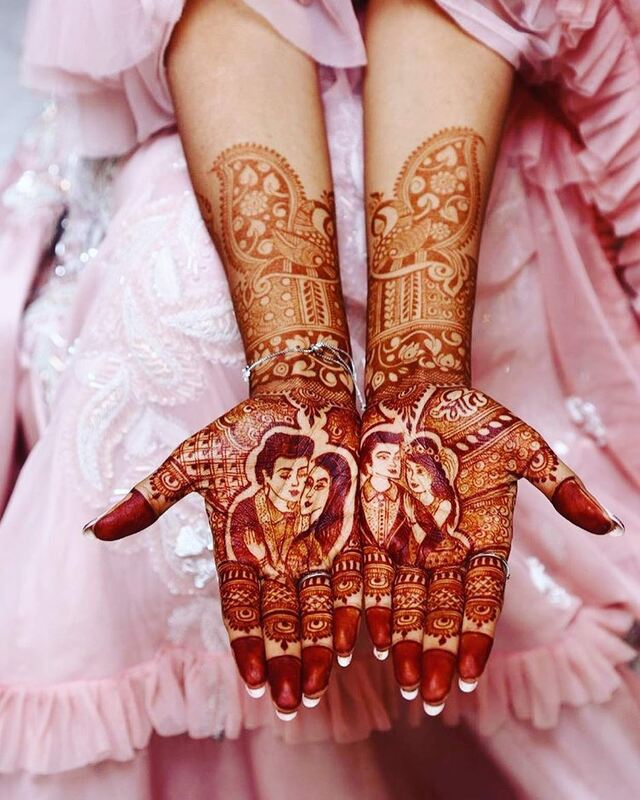 111 Latest Bridal Mehndi Designs You’ll Want To Look At For Your 2018 Wedding! 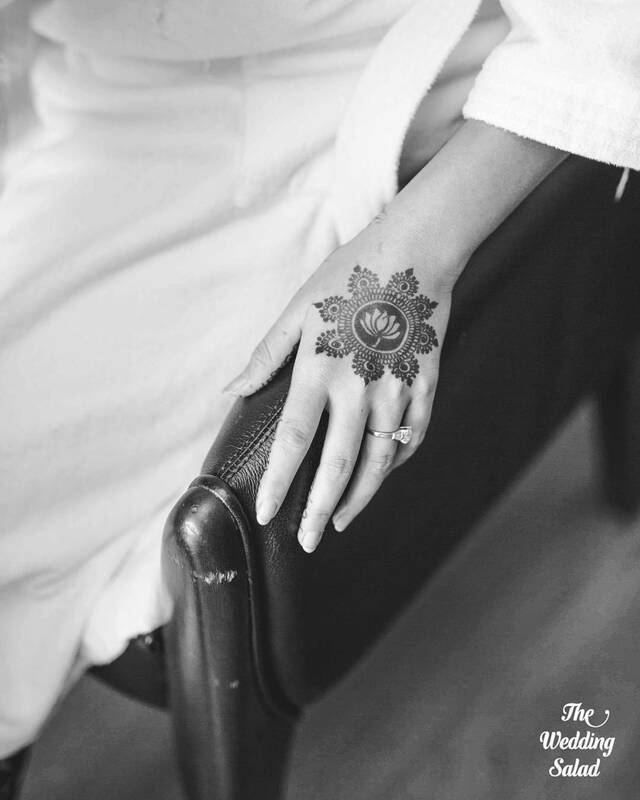 2 Simple Bridal Mehendi Designs For The Minimalistic Bride’s Hands! 4 The 6 Month Honeymoon: This Couple Went Around the World in (1)80 Days!